Automatizacion De Procesos S.A.S. - ADeP S.A.S. AUTOMATIZACION DE PROCESOS S.A.S. 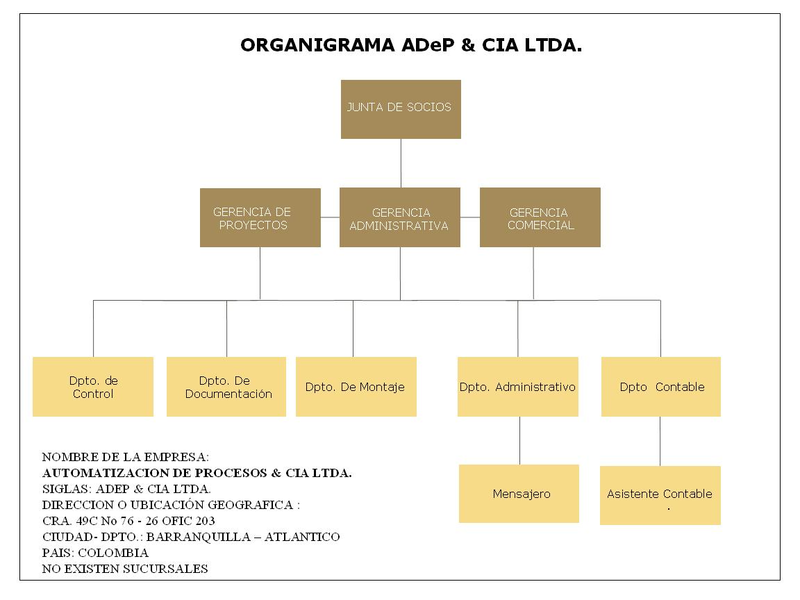 - ADeP S.A.S., is a Colombian organization in constant evolution that uses all its human potential to provide customers with efficient solutions to their problems. The Company is in constant pursuit of leading edge technology, in order to offer high quality services. The Company is equipped with a project team capable of performing services in various areas of engineering (Electrical - Automation - Telecommunications - etc.) and has an extensive experience in control and alarm systems for ships. AUTOMATIZACION DE PROCESOS S.A.S. - ADeP S.A.S. serves customers’ needs providing high quality prototypes, products, machinery and turnkey equipment, further facilitating the installation and commissioning of each of the projects developed. AUTOMATIZACION DE PROCESOS S.A.S. - ADeP S.A.S. 's mission is to offer effective solutions related to the automation, energy and telecommunications sectors that improve customers’ productivity. The Company utilizes experienced, creative and qualified human resources, offering a high degree of satisfaction to customers and suppliers. Within the next 4 years, AUTOMATIZACION DE PROCESOS S.A.S. - ADeP S.A.S. will have a great participation and recognition at a continental level thanks to its responsibility and efficiency in the distribution of products and projects in the areas of automation, energy and telecommunications. The Company aims to be a national leader in the sector, providing reliable and efficient high quality processes and services, counting on the technical support of technology manufacturers, such as SIEMENS, GE-FANUC, MOELLER, HAUSSER AND ENDRESS and WONDERWARE among others. Electronic fire-control installation, design and supply (sirens, manual stations, sensors for detecting smoke and heat), CCTV systems, access control, lighting control and temperature control systems for air conditioners. Industrial networks supply and installation (such as: Modbus, Profibus and Industrial Ethernet, among others). Structured cabling supply and installation. 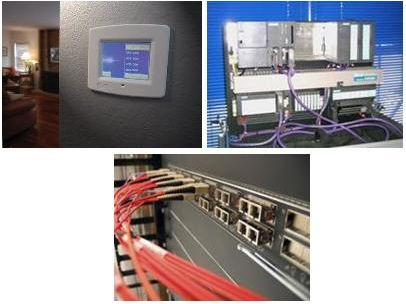 Past-panel structured cabling and fiber optics supply and installation. Fiber optics supply and installation. Microwave links supply and installation. Electrical installation, design and maintenance in medium and low voltage. 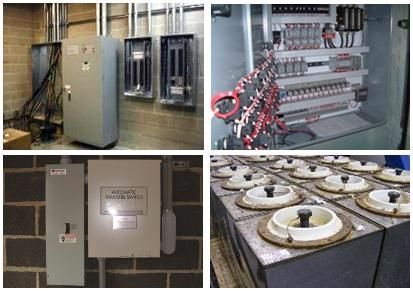 Design, installation and erection of electrical substations. Installation of electrical wiring, instrumentation, etc. Removal of flat panel strength. Supply and installation of pipelines, electrical wiring trays, instrumentation and industrial communication. Dismantling, manufacture and assembly of electrical equipment: electrical transfers, starters, capacitors banks and UPS. The Company has the appropriate infrastructure to provide customer support 24 hours a day and has strategic alliances in different service sectors. It employs highly trained personnel which have the expertise to guarantee the efficiency of the services provided. Τhe ARC Quitasueño project: A centralized and automatic monitoring system was implemented on the ARC Quitasueño vessel, including advanced monitoring equipment and software, such as ProTool, WinCC and WinCC Flexible, among others. The ARC Quindio Project: AUTOMATIZACION DE PROCESOS & CIA LTDA. has developed a project in which a control, surveillance and monitoring system was implemented on the ARC Quindio vessel, similar to the one implemented on the ARC Quitasueño vessel. 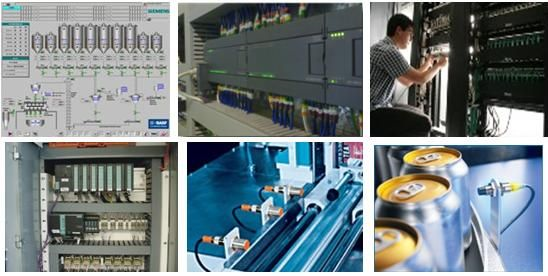 This system includes devices, such as the Siemens PLC S7-200 and S7-300 for the measuring of variables, such as the current and line and phase voltage, among others. For more information, please refer to the ‘ADEP - References’ file provided on the ‘General Information’ tab of the present profile.